Join us on our mission to send kids to school. 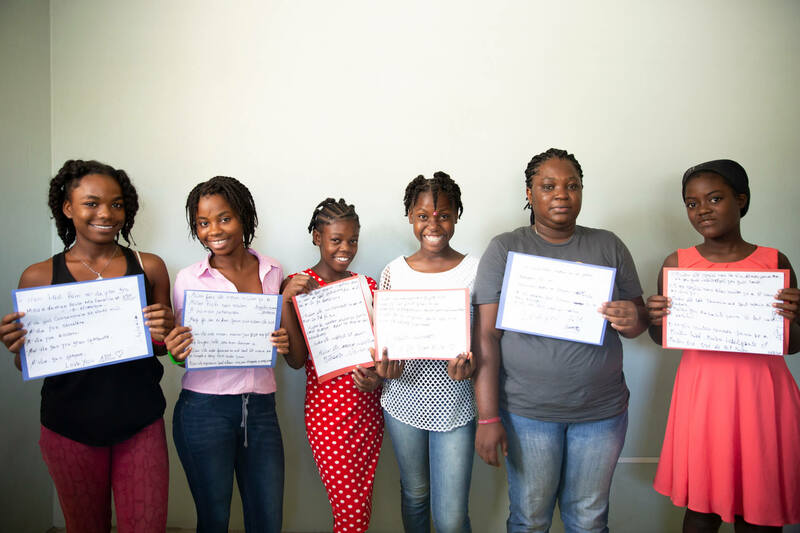 We give Haitian children the support, guidance, and resources they need to get an education, have access to medical care, and succeed in life. Our programs would not be possible without the hard work and dedication of our volunteers and donors. Whether you want to take a hands-on role and lend your skills, host a fundraiser, or do a donation drive at your company, there are endless ways to get involved! We need people who are willing to help us raise capital to keep our programs running for years to come. We rely on non-monetary donations to get our students the resources they need to succeed in school and life. We need visionaries who have skills or ideas for building programs to improve our students' lives. Are you a medical professional or other expert in your field? Each year, our team travels to Haiti to implement new programs and partner with healthcare, creative, and other professionals to give our students and other children access to the resources they need. We are always looking for doctors, dentists, specialists, nurses, journalists, PR strategists, and other experts to lend their expertise. Here are some of our favorite stories from our volunteers, donors, and sponsors throughout the years. 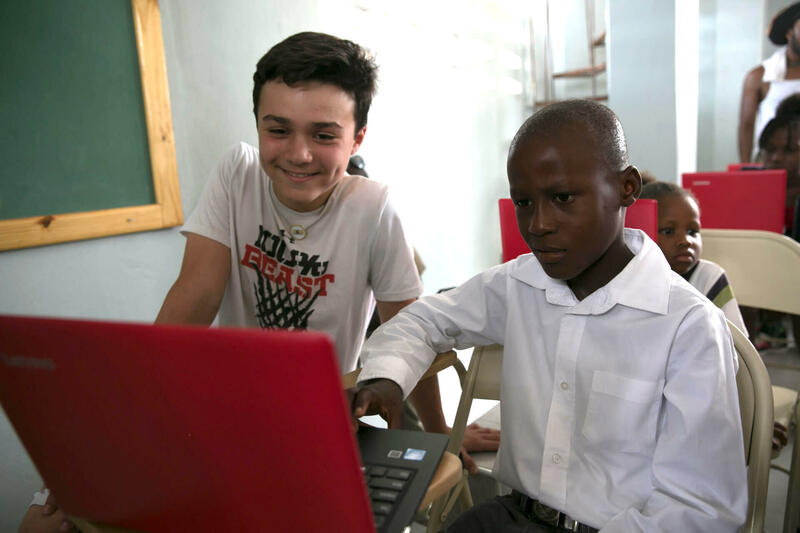 In 2016, due to the generous support of David Tobin and Mission Capital Advisors, we opened a computer lab with Internet access and 22 Lenovo computers to the Community Center so our students could harness the power of technology and the Internet. Licensed Yoga Instructor Jen Goodman was one of our first supporters. 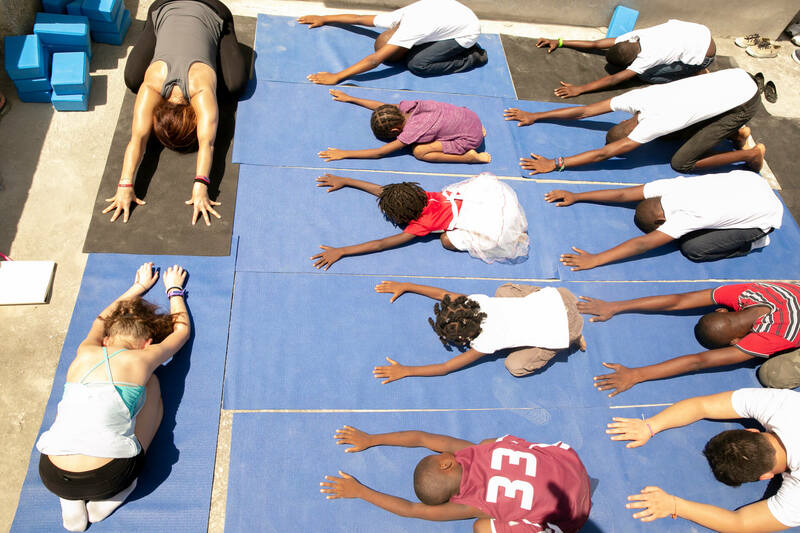 In 2018, she collaborated with the MelYSmax Arts Program to start a yoga and stretching program at the Community Center. After Hurricane Matthew, A&M Student Brett Goodman sent a pair of shoes with a box of supplies we were collecting. 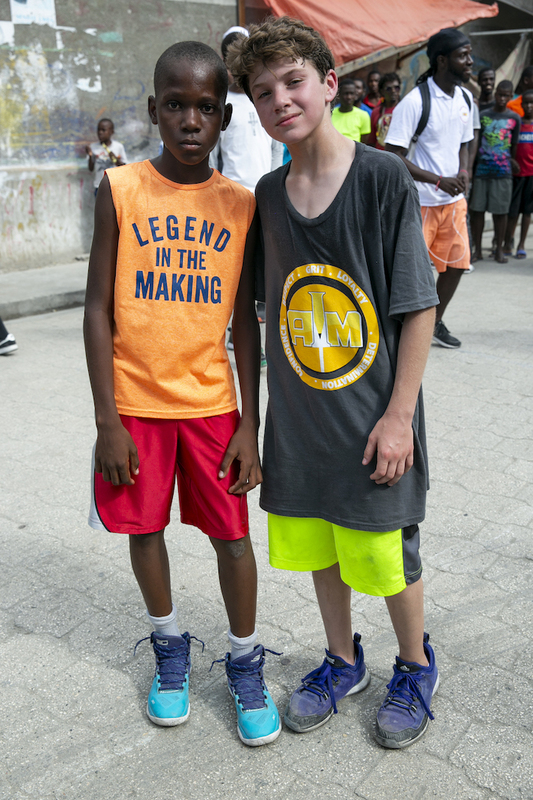 In 2018, Brett had the opportunity to travel to Haiti. While there, Brett joined a pick-up basketball game with some local kids. The young man Brett was positioned against in the game had received a pair of shoes several years ago, and it just so happened to be the pair that Brett had donated. Through email, Artist Melimel collaborated with our Community Center teacher and mentor to develop and implement a women's self-esteem and empowerment workshop for our female students. 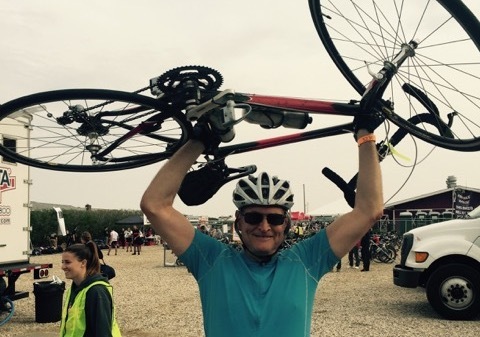 For the past 4 years, David Wander has biked 150 miles from Manhattan to Montauk each spring as a fundraiser for our program. We are inspired by David's commitment to supporting our students, and to-date, he has raised over $45,000.